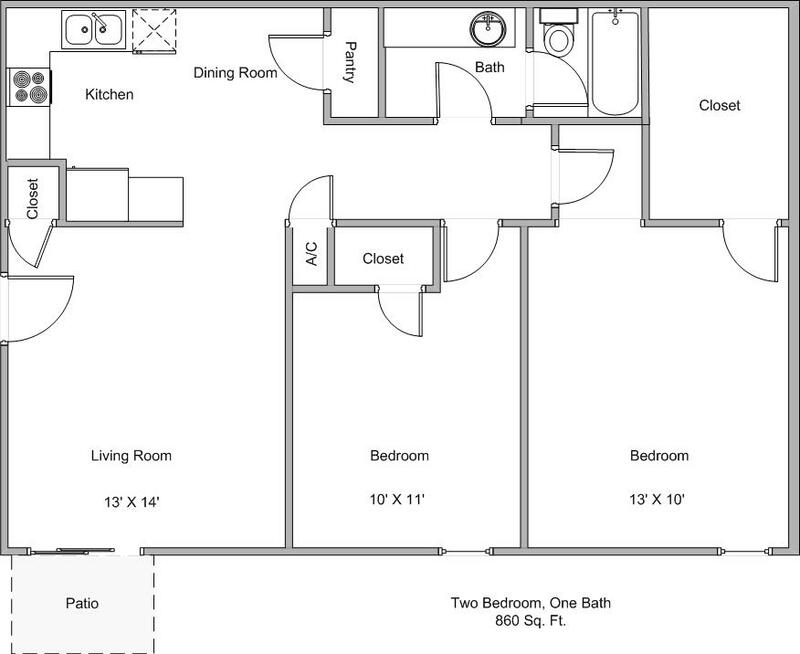 Click on a floorplan to view it. 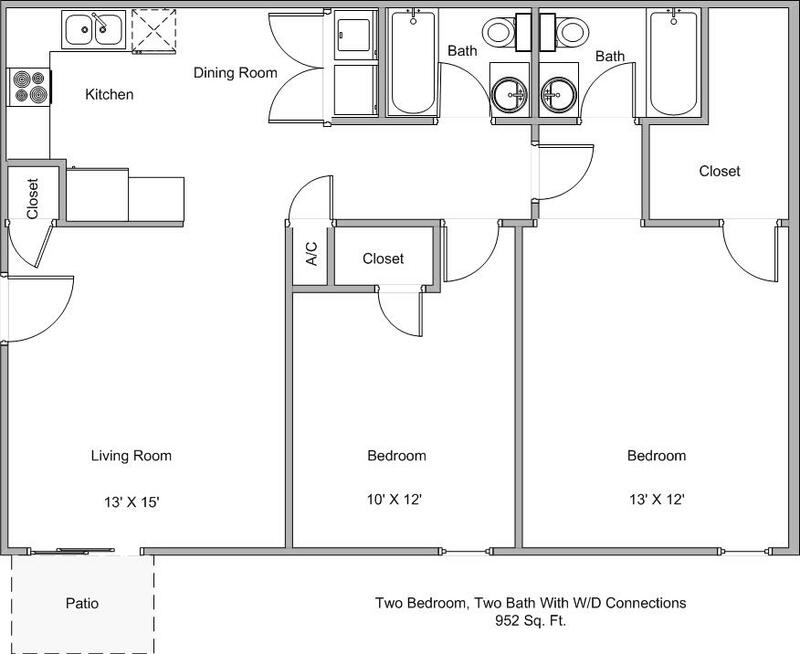 One Bedroom One Bath 680 Sq.Ft. Two Bedroom One Bath 860 Sq.Ft. Two Bedroom One Bath W/D Connections 860 Sq.Ft. 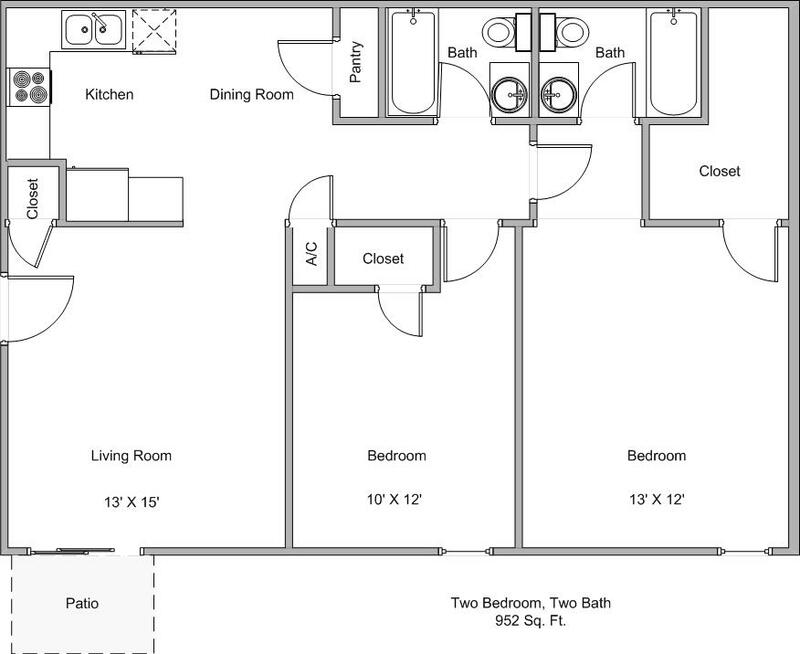 Two Bedroom Two Bath 952 Sq.Ft. 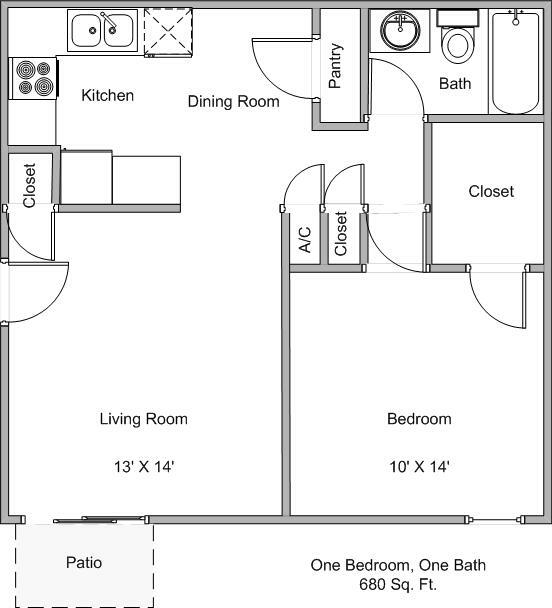 Two Bedroom Two Bath W/D Connections 952 Sq.Ft.